Radio industry was launched in 2007 to mark the 25th anniversary of the Youth Culture House industrie45 as a pilot project. Soon the station was received on the Block cable network. Today radio industry is an independent association and part of the UNIKOM (Union of Non-Commercial Radio Switzerland). Since 2011 radio industry is the only Swiss Radio entirely on urban music. 2014 was radio industry with revised and updated music program new website launched. Also in 2014 sent radio industry for the first time via DAB +, front hand in Zurich, other regions will follow. Besides an extensive volunteer work for young presenters radio industry currently has six employees. In addition, one to two interns. In addition to good music, entertainment and information, the function is as a training radio one of the cornerstones of the radio industry. The main focus is on the various varieties of the rap music, but we muddled mix different styles, eras and languages ​​colorful. 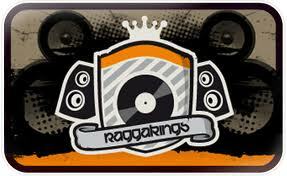 This is complemented by soul, funk, jazz, reggae, dancehall instrumental music.